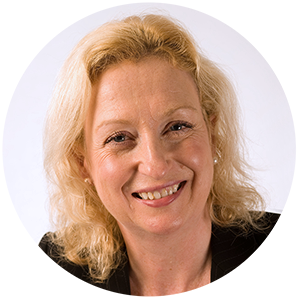 The Tinnitus Clinic's managing director, Josephine Swinhoe, wins Best Aural Healtcare Practice MD - UK, and Most Innovative Specialised Tinnitus Clinic - UK, 2017. In this interview with CEO Monthly, she reveals how she feels about the award and what it means for The Tinnitus Clinic. How does it feel to win this award and to what do you attribute your success? What difference would you say winning the award will make for you in terms of future business? “I’m thrilled to have won this award on behalf of myself and my business. 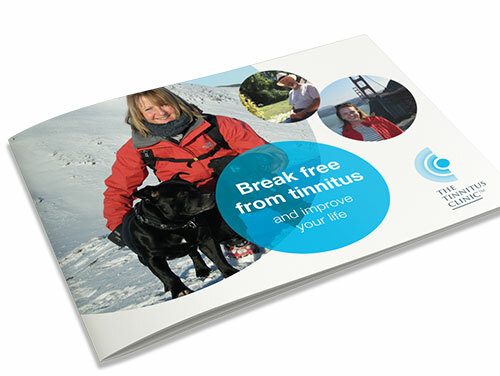 I have a ‘can do’ attitude and have relished the challenge of setting up and making a success of The Tinnitus Clinic. I attribute my success to remaining focused on and delivering highly personalised service and a commitment to audiological best practices in all our activity. “The Tinnitus Clinic is a private adult audiology rehabilitation clinic with branches across the UK specialising in tinnitus and hyperacusis treatment and management. Tinnitus is often described as a ‘ringing in the ears’, but it can also be a whizzing, roaring, buzzing or another type of continuous noise in one or both of their ears or head not linked to any external source. The leading provider of the latest evidence-based tinnitus treatments in the UK, we work with adults who have severe tinnitus and/or hyperacusis who require specialised rehabilitation services including Armed Forces Veterans and the emergency services. Many patients are highly anxious and have been previously misinformed there is nothing that can be done about their condition and no possibility of treatment – a poll of our patients found 91 per cent were told by their healthcare professional their tinnitus was something they’d have to ‘learn to live with’. As a result, we published a GP Guide, with input and contributions from doctors and other healthcare professionals, as a free resource to help the healthcare industry better understand the condition and what can be done to help those affected. Talk me through your previous roles and how you came to achieve your position as CEO. How do you draw on past experiences in your current role? “I started my professional career as an officer in the British Army where I learned to develop my leadership skills, moral courage, self-reliance and the importance of teamwork. From there I went on to have a successful career as a fundraising and marketing professional culminating in working at the Alzheimer’s Society leading a period of extensive financial growth including a re-brand. Since you started your career, what changes have you seen, both in the firm and within the industry it operates, with regards to women? Has the industry become easier or harder for women to enter into? “There are many women in junior to mid-level management in audiology. However, audiology businesses with a female MD or CEO are relatively few and tend to be smaller clinics, run and owned by that person. “We regularly monitor our very robust KPIs which inform the tactical decisions needed to achieve our strategy. Our business is primed for growth in our own market in the UK and we have developed an opportunistic strategy which has worked well - I see no reason to adjust this currently, it keeps us flexible and very responsive. What are your thoughts on the state of your industry currently? Are there any particular issues/changes that are affecting it? Tell me about your leadership style. How do you ensure everyone in your organisation understands your vision and works towards it? “My leadership style is open, transparent and dependent on good communication – which means listening more than speaking. I am a visible and present leader. What challenges and opportunities have you faced during your time here and how have they affected your role? “The challenges are to remain focused and ensure every new branch and product is embedded and working well before expanding. As CEO of a growing company it can be tempting to follow the shiny prize but the focus needs to be on consolidating growth. What are your future aspirations regarding your business? Do you have any future plans/projects you would like to share with us? With regards to your own career, what plans do you have to build upon your current success? What changes would you like to see within the corporate landscape in the future to make it easier for women to succeed? “I would like there to be a greater awareness of the unspoken messages involved with leadership and imagery. For example, when the media run stories about CEOs, let’s ensure the accompanying image is not always a stock picture of a man in a suit – through imagery, we create and shape people’s perceptions and expectations. Women need to take responsibility for themselves – they need to ensure they have robust emotional health. Our multidisciplinary team can support your most complex cases.